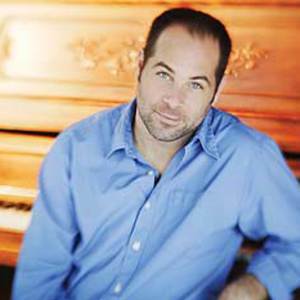 Mark Schultz (born September 16, 1970, Kansas City, Kansas) is a popular Contemporary Christian music singer/songwriter. In 1995-6, he travelled with a group called Up with People and was the lead singer of one of their international casts. He then returned to Nashville and became a youth group leader, when a teen suggested he take his songs to a record producer. He has released 4 albums and has been nominated for numerous Dove Awards, finally winning his first at the 2006 Doves ceremony when the CD/DVD Mark Schultz Live: A Night of Stories & Songs was named Long Form Music Video of the Year.